SRTMC is a team of professionals working 24/7 with multiple jurisdictions to deliver reliable transportation information services, locally and regionally, in order to create a safe and efficient travel experience for everyone. TMC operators staff the center around the clock, year round, evaluating and reacting to events that impact travel and roadway safety. By notifying responders and posting information to the web, 511, and email/text alerts, SRTMC operators help to reduce congestion and collisions. By linking the infrastructure and technology resources of the agency partners who make up the SRTMC, those organizations are better able to support each other through equipment sharing and incident coordination. 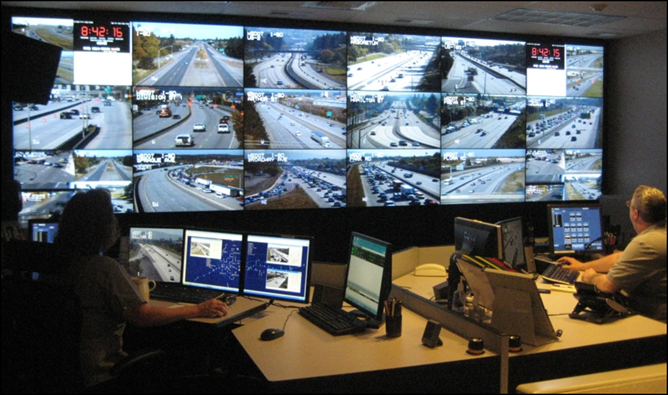 With more than 100 live streaming camera feeds available, 23 electronic variable message signs, 10 highway advisory radio AM transmitters, various intelligent transportation system devices such as volume/speed detectors, and hundreds of traffic signals, the SRTMC is the hub of the region’s transportation management system. The SRTMC Operations Board is a governing body comprised of professional representatives from the City of Spokane (COS), City of Spokane Valley (COSV), Spokane County, Spokane Transit Authority (STA), Spokane Regional Transportation Council (SRTC) as an ex-officio, and WSDOT. 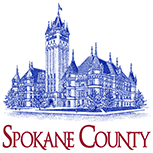 The Operating Board’s main purpose is to oversee the management and operation of transportation facilities within Spokane County for mutual public benefit. This is accomplished through coordination of transportation system operations between partnering agencies in an effort to optimize regional resources. Monthly meetings of the SRTMC Operating Board and regular updates to the ITS Implementation Plan support these efforts. This coordination helps to ensure the optimal use of limited local, state and federal resources. Coordination at the state level also occurs with adjacent jurisdictions such as the Idaho Transportation Department and other Washington State TMCs.